Recently I had a friend post a meme on FaceBook commenting on how Liberals care and Conservatives don’t. It got me thinking; I would have to say everyone Cares. It just that Liberals (generally not Christian) look at a situation from one angle and Conservatives (generally Christians) see the situation through a different light. A Christians Manifesto to living in a liberal world addresses this idea as well. However, in this article I would like to address the subject in a different way. From a non-professional Conservative’s point of view. Non-professional meaning, I am not an educated Therapist or educated in Human Behaviorism in any way. This is just my opinion based off a life time of experience living on the face of this earth. Liberals look at a situation and isolate it. Removing God or the spiritual from the situation. Seeing each issue as separate and having nothing to do with the other. Now I must caution here, God is not into creation and destruction or good and evil. Even God is not able to move outside of the spiritual laws. We as humans have been Given Free will to do as we choose. However, there are consequences to the actions. Sometimes an action can affect a person personally or it may affect others or often both. Christians understand there are laws of people, laws of Physics and the Spiritual Law, all of them are equally important. If you chose to ignore or chose to not believe in the law of gravity it will not cease to exist. Gravity is a law and must be adhered to. Same as with spiritual Laws do exist regardless of a person’s beliefs, and they must adhered to or there will be consequences. Well you assume a lot! A person can be spiritual and not Christian. A person can be another religion. You don’t have a choice about gravity. We do have a choice how we express or don’t express our spirituality. Here’s a shocker! Jesus most likely would have been a progressive liberal. He believed in helping the poor, the sick, the immigrant, the wayward soul. There are many liberal Christians. 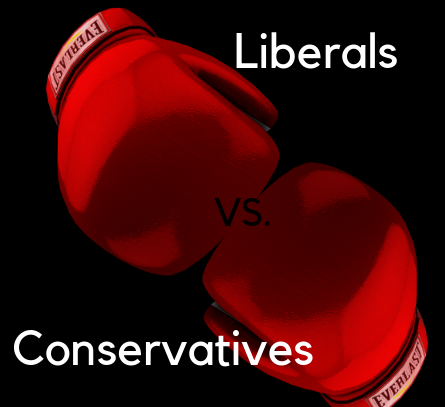 This particular article talks about the differences of liberals and conservatives. My experience is been only in Christian conservatives and non-Christian liberals and Christian liberals. I did not address other religions since I have no experience with them personally and if they are liberals or conservatives. And as to the rest of your comments I feel the best way to address them would be to write a few articles. I hope you will join the Facebook page or even the group or the email list. This way you can be informed when new articles are written. I enjoyed reading you comment and you have provided me with food for thought or at least something to write about. Thank you.